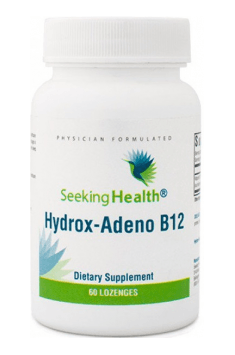 When supplementing vitamin B12, it is suggested to monitor regularly blood homocysteine levels. When hyperhomocysteinaemia perists despite of vitamin B12 supplementation, it suggested to test for MTHFR gene polymorphism. In the event of mutation, supplementing with other forms of cobalamin than the methylated one is totally pointless.